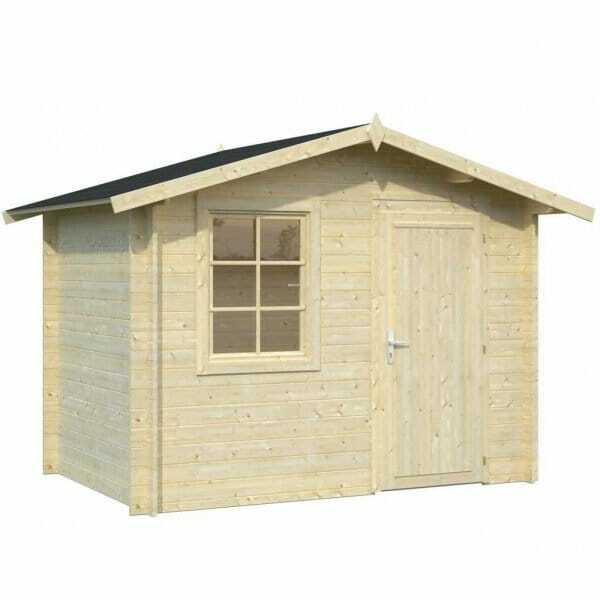 Palmako Klara 4.7m² Log Cabin: Palmako Klara 4.7m/sq Log Cabin is a useful and compact log cabin with 28mm wall planks. This wooden garden building offers the ideal place for storing your garden equipment or furniture, or use it as a garden retreat. This garden building has a single opening window and single all- wood door. This log cabin can be built with the door to the left or the right in the front wall and window is positioned accordingly. Buy from Simpll Log Cabins!